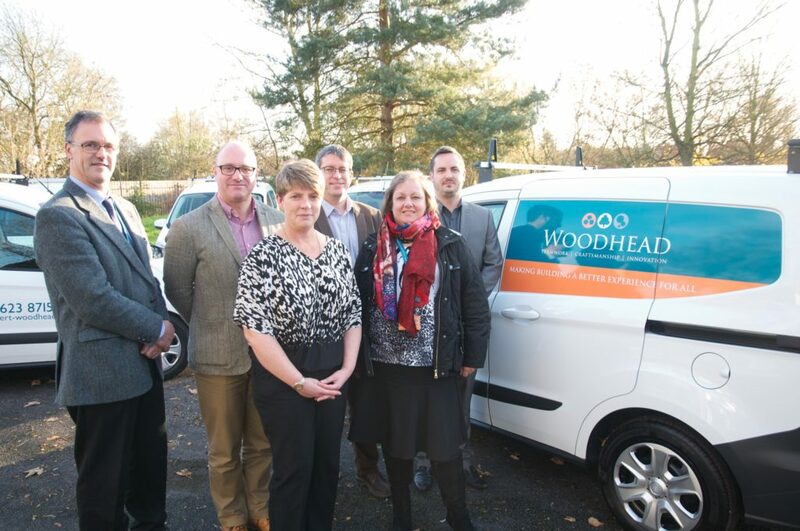 Construction company Woodhead is set to hit the roads in its brand new fleet of vans. The family business will this year reach its highest ever turnover figure and continues to see staff numbers grow, having taken on its 100th employee just a few weeks ago. To support the demands of a business working across the Midlands and Yorkshire, Woodhead has purchased a brand new fleet of Ford Transit Courier vans. The 13 vehicles will this week leave the company’s head office in Edwinstowe, to be used across the company’s many active sites. Hilary Cheshire, Company Secretary said: “The new vans look great and we have been delighted to invest during what has been a difficult time for the industry. “When looking for a fleet, we wanted to make sure the vans were going to work for us as a business, and we’re really pleased to have settled on the Ford Transit Courier model. Pictured: Strategic Leadership Team – Left to right: David Woodhead, Managing Director with Craig Pygall, Teresa Westwood, Glenn Slater, Hilary Cheshire and Tom Woodhead.